In a mixer, beat the butter and sugar until light and fluffy. Add the egg and beat well. Then add the eggnog and mix again. Preheat the oven to 350ºF. Drop dough by the round teaspoonful onto lined cookie sheets. It will be very sticky. Bake one sheet at a time for 10 to 12 minutes, or until the tops are lightly golden. Cool cookies on a wire rack. To make the icing stir together the confectioners’ sugar, eggnog, and nutmeg. Ice the cookies when cooled. Sprinkle cookies lightly with nutmeg before the icing dries. Gingerbread and Eggnog Trifle and Eggnog Punch. These look delicious! Thank you so much for linking up on the Cookie Hop! I hope you got a chance to enter the contest for the gift card, too! You are totally right! Eggnog IS the “pumpkin” of December! These cookies look so amazing, Nicole. 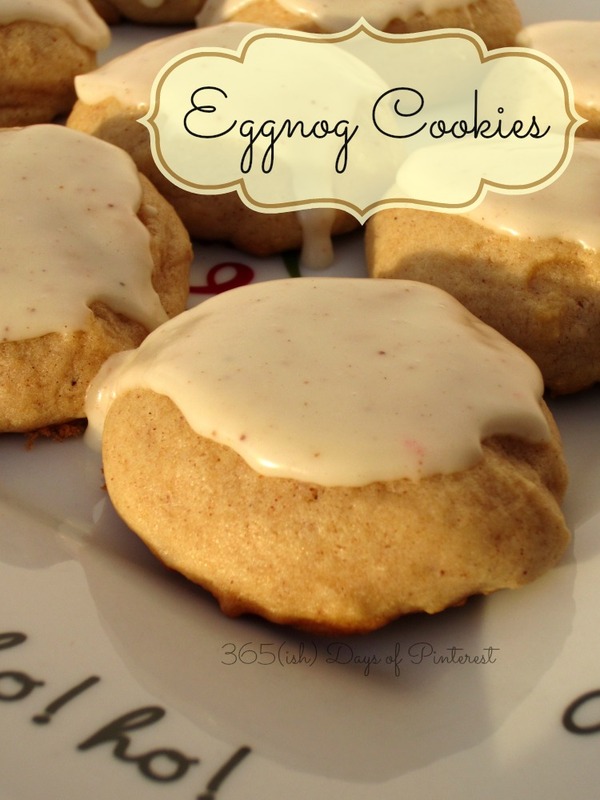 I love eggnog and I’ve never seen eggnog cookies with a glaze – YUM! Thanks for linking this up to Saturday Night Fever – pinning!! These look so good! 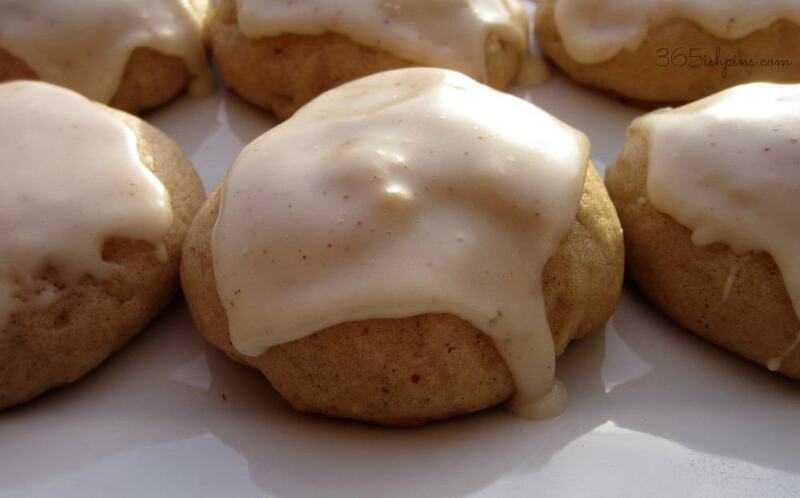 I’ve never made eggnog cookies before–I’m going to pin this! These were a first for us, too. My kids even liked them! The frosting/glaze was so yummy, I could eat it with a spoon. 🙂 I’m putting these on my list to make again next Christmas. Oh, dear goodness, these look yummy. Oh dear, is right. 🙂 We may have gorged ourselves on them.